Nothing shows the world you’re sophisticated quicker than showing up to an event in a limo driven by a professional chauffeur. Not only that, but it’s fantastic to relieve stress and leave the driving to someone else, especially when you’re out for a night of partying. Our Modesto party limo is the preferred service for locals or tourists who want to see the sights in the area but don’t want to worry about driving themselves. We’re here to ensure you have a great time whether you need transportation from the airport, are attending a sporting event with friends or colleagues, or if you’re celebrating a special occasion like a birthday event. When you pull up to the chosen venue in one of our limos, people notice! If you love to dance, you can do it the right way with our laser lights, disco floors, strobe lights, fog machines, and even a dance pole. When you’re ready to let your hair down and have some fun, Modesto’s top party limo service is here to help. We have a fleet of limos with various features so don’t worry. We’ll be able to accommodate your requests! We pride ourselves on the quality of our vehicles, and we’re confident we won’t disappoint you. We understand how important special events and luxury transportation are so we are serious about our mission to get you there in style. We currently have the all the models of luxury limousines you would expect. We can handle any of your needs, even for large party sizes. Contact us for availability or to lock in your transportation now. We can get you to any point of interest you have in mind in the area. Whether you plan on shopping at Vintage Faire Mall or heading out to see the sights at McHenry Bowl or McHenry Mansion, our service is available. 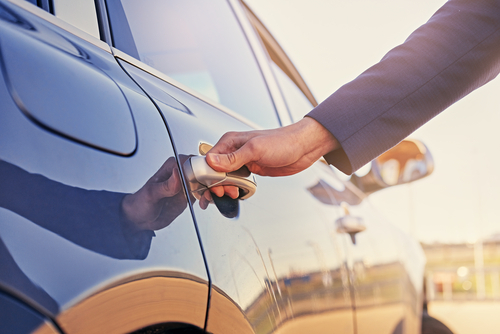 Nothing matters to your overall experience more than dealing with a seasoned veteran chauffeur. Our staff is made up of hard-working individuals who know Modesto and the surrounding areas like the backs of their hands. Party limos exist so that passengers can have fun! We cover all details to ensure your transportation experience is fun and unforgettable. There’s no reason to fret over anything. Contact us for more information today about our service and your specific requirements. Nothing ruins a good time faster than stress. Leave all hassles behind when you choose a party limo that is professional, luxurious, comfortable, and staffed professionally. When you’re out to have a fantastic time the last thing you want to worry about is where you parked the car or remembering directions to the event. Preferably you’d focus on hanging out with your friends, family, or colleagues and celebrating your big event. That’s what happens when you leave the driving to us.